First, there was the rice versus corn pasta debate. (Corn for me.) Then there was the fresh versus dry pasta debate. (Fresh, hands down.) It's hard to believe that the gluten-free marketplace has such varied products that we now have a choice between fresh corn-based flat pasta and fresh corn-based filled pasta. 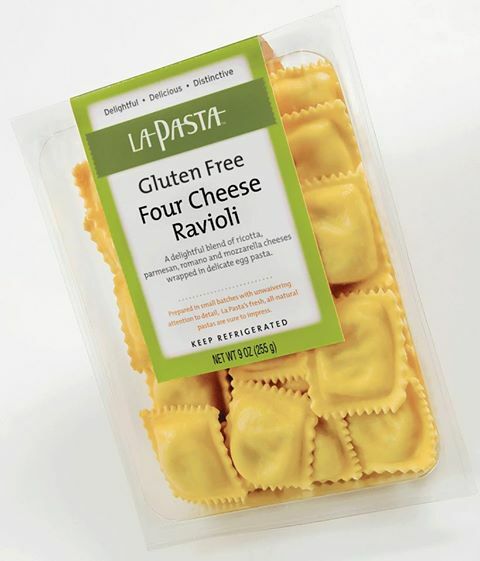 The last taste test is made possible by La Pasta, a Maryland company that produces refrigerated gluten-free four-cheese, mushroom, and spinach & cheese ravioli sold at Whole Foods markets. for $6.99 a package. The pasta is made from a blend of corn starch, eggs, potato starch, sea salt, tapioca starch, water and xanthan gum. 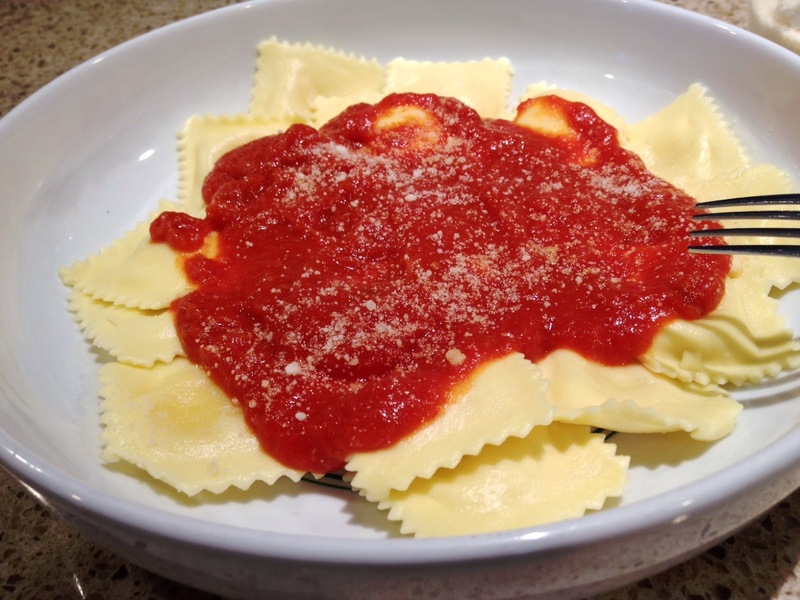 La Pasta's cheese ravioli was the family favorite. It's rich - made with ricotta, Romano, Swiss and Fontina cheeses - and paired nicely with Wegmans-branded Grandma's Pomodoro sauce, our current favorite. As we kept it fresh rather than freezing, the ravioli cooked in a pot of boiling water in just two minutes. Emily Buckley, La Pasta's sales and marketing manager, says that the company uses dedicated machines for the gluten-free products, which are made on separate days from the company's traditional pasta. In addition, she says, an ELISA test is used before production to validate the gluten-free environment. As for the outcome of the last comparison, I'd cite the old advertising slogan for Almond Joy and Mounds candy bars: Sometimes you feel like a nut, sometimes you don't. No question that filled pasta is a more indulgent option - in taste and price - than spaghetti or another "plain" noodle. 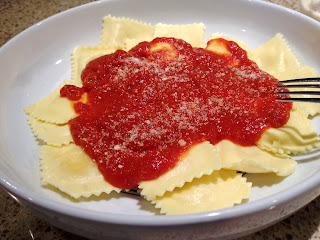 La Pasta's ravioli is well worth it though; it's better than any other filled gluten-free pasta product on the market. DISCLOSURE: While La Pasta provided product samples for me to review at no cost, such compensation did not influence my review. Neither I am nor any immediate family member is an employee, officer, director or agent of La Pasta or its respective parent, subsidiary and affiliated entities, advertising and promotional agencies. Click here for my complete Disclosure. Are they sold anywhere else other than Whole Foods??? Unfortunately, Whole Foods is the only market in Philly that are currently selling our GF products. They are sold all around DC, MD, NJ, and NY in several markets. If you are traveling in any of your neighboring states and would like to pick some up, please feel free to email info@lapastainc.com and we can point you in the right direction. You can freeze the product.